As an experienced Newborn Photographer, I’m often asked how I achieve seemingly impossible poses with newborn babies. You may see this kind of image on a photographer’s websites and on Pinterest, as it’s a really popular pose that creates a wow image. It takes a lot of patience and skill to perfect this pose. 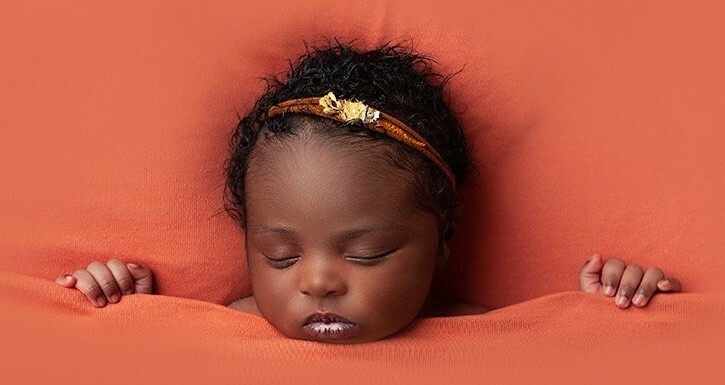 A newborn baby’s head is the heaviest part of her body, and it is not safe to expect a baby to be able to support the weight of her head on her wrists in this pose. This image is a ‘composite’ of several other pictures. The baby is always supported and the supporting hands are then edited out with photoshop magic. 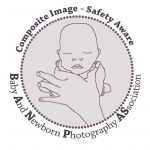 There is more about safety in Newborn Photography on the BANPAS for Parents website. Is baby comfortable like this? She is sleeping soundly and wouldn’t do so if she were in any way uncomfortable! Her bottom is supported in place by hidden pillows, she is on a soft blanket and I am using gentle hands to hold her safely and securely. If you would like to include this pose in your gallery of images them please do ask. Only if your baby is in a deep sleep and is comfortable like this will I will try to create this image for you. If your baby isn’t happy to do this then I won’t force it – no photograph is more important than your baby’s comfort! Next Post: How do I book for my newborn when they haven’t arrived yet? !